Many people who follow me on Facebook and Twitter will no doubt be aware that I have been accepted into one of the most exciting projects I’ve ever taken part in. 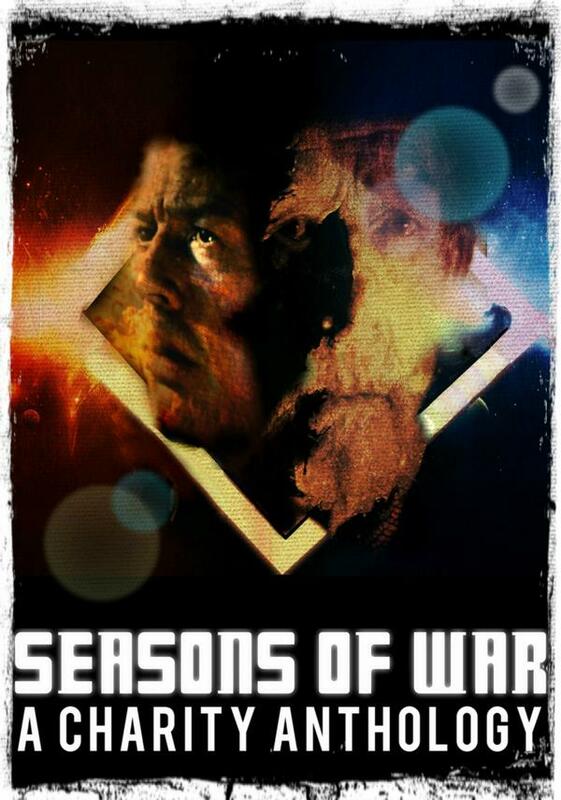 Seasons of War is an unofficial War Doctor Anthology. It’s official, I’m now an unofficial Dr. Who author and I got to write a story that has John Hurt as the star! John. Hurt! As you can imagine I’m exceedingly happy about this. Not least because it’s in aid of the Caudwell Children Charity, which does fantastic work with disabled children. That’s 35, yes, THIRTY FIVE authors. So far. There are more to be announced. The to-be-announced authors are absolute SUPERSTARS and I can’t bloody wait to a) find out who they are b) let you know about them! If you’d like to support the Seasons of War unofficial War Doctor, Doctor Who anthology, please go to the Facebook page and Like it. If you’d like to just have an e-book copy of the book, all you need to do is go to https://www.justgiving.com/Declan-May1/ and make a donation. Please make sure you put your email address into the free text box. Once things are ready to go, you’ll get an email about how to claim your book. If you’d like to get your hands on a paperback, or hardback copy, you’ll need to wait a bit later. Prices are yet to be confirmed but will be split in two ways. The first part of the price is to cover printing and goes direct to the printer. The rest of the price will then be passed on to the Caudwell Children Charity. This is a totally unofficial Doctor Who anthology which is raising money for the Caudwell Children Charity with the BBC’s blessing. Just to be clear, none of the money raised is going to any of the authors or editors. I am immensely proud to be part of this anthology. I’ve written for Doctor Who before (‘officially’) but the very nature of this publication, its charitable cause and subject matter mean much more albeit it being an unofficial title. There are some big names attached to this and it’s an honour to sit alongside them, and Matthew too, of course! Would love to write officially!